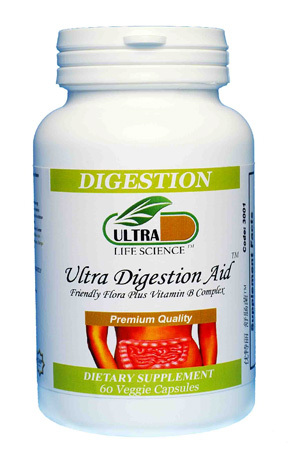 Ultra Digestion Aid™ is uniquely designed with people having digestive problems in mind. It is uniquely formulated using enteric coated capsules designed to pass through harsh stomach acids to release micro-organisms into the intestines, thus aiding digestion. 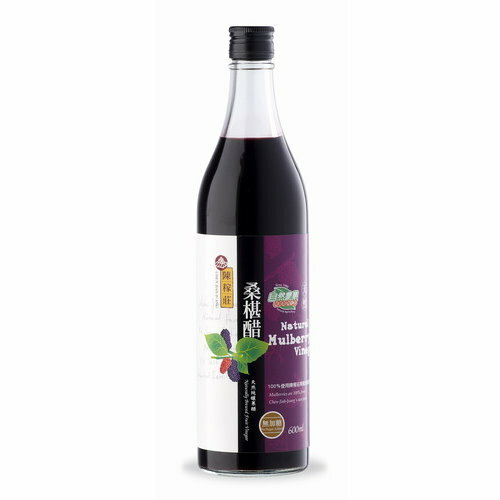 The formulation consists of a proprietary blend culture of some of the most researched friendly bacteria species - Lactobacillus Acidophilus, Bifidobacterium Bifidum, Acidophilus Rhamnesus, Streptococcus Thermophilus and Lactobacillus bulgaricus. Topped up with vitamin B-Complex, Ultra Digestion Aid™ gives you relief from stomach discomfort. It is of no doubt that every individual should maintain a healthy digestive system to promote good digestion and to minimize the risk of developing colon cancer. May relieve diarrhea, stomach discomfort, flatulence and lactose intolerance. May enhance the immune system and improves endocrine function to reduce the incidence of infection, food poisoning, food allergy. Beneficial to people under prolonged usage of antibiotics, pain killers and steroids. Acidophilus may be beneficial in delivering micro-flora to the intestines to help overcome conditions that cause an imbalance. Take 2 capsules, twice daily. Take 2 capsules, three times daily. To maintain maximum potency, store tightly capped in refrigerator. ♦ Persons with breath and body odor. ♦ Individuals with cancer risk factors. Lactobacillus Acidophilus is the predominant friendly bacteria in the upper intestinal tract. It is involved in the production of B vitamins during the digestive process. Lactobacillus Acidophilus is commonly used to prevent or treat diarrhea and has been claimed to be useful for infectious diarrhea, ulcerative colitis, irritable bowel syndrome, diverticulitis, or H.pylori-induced gastric ulcers. The fact that lactobacillus acidophilus is a probiotic, which helps to reduce the levels of harmful bacteria and yeasts in the small intestine, has been highlighted in many research studies. Probiotic, “a ‘live’ feed supplement can beneficially affect the host by improving its intestinal microbial balance”. It can also improve your intestinal function, counteract antibiotic damage and stimulate the immune system to perform better when you are relatively well. In addition, probiotics can also contribute significantly to relief of health problems when you are ill, ranging from indigestion and diarrhea to colon and liver cancer. Lactobacillus Acidophilus is capable of acting directly on cholesterol with the GIT resulting in reduced cholesterol uptake. Supplementation with lactobacillus acidophilus may result in significant reduction of cholesterol such as LDL. Lactobacillus acidophilus is a beneficial addition to the diet of individuals people with cholesterol problems. Lactobacillus acidophilus and Bifidobacterium Bifidum have been shown in human clinical studies to reduce the levels of some colonic enzymes which are implicated in the conversion of pro-carcinogens to carcinogens. The B vitamins (Vitamin B1, Riboflavin, Niacin, Panthothenic Acid, Vitamin B6, Vitamin B12, Biotin, Folate, Inositol) help to maintain healthy gastrointestinal tract. These vitamins are essential for normal digestion.